As of 9:30AM today I completed my last final of my Master of Arts Degree in Occupational Therapy. This realization just hit me and the nostalgia is real. 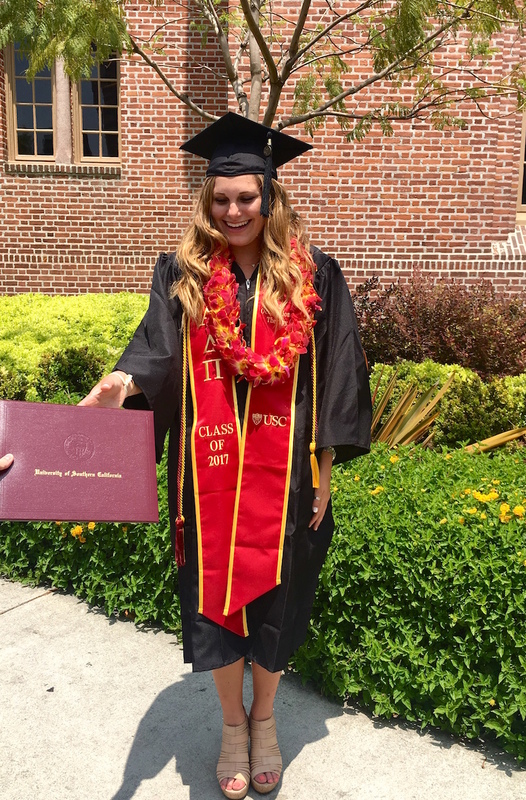 Although I will be continuing on with the USC Chan Division of Occupational Science and Occupational Therapy to complete me Doctorate of Occupational Therapy with The Huntington Library, Art Collections, and Botanical Gardens implementing inclusive programming for guests! I am so excited for this next chapter, but right now I want to take a moment to reflect on some of the great moments of this semester that got me to this point. As Caroline, Erika, and Kaitlyn mentioned in their blogs over the last months this semester we were given the chance to create our own leadership experience to build our professionalism, communication, and overall understanding of occupational setting in a new setting. A classmate and I continued the work we began in OT 537: Occupation-Centered Programs for the Community. We worked with The Painted Turtle, which is an organization that provides year round camp based programming to children with serious medical conditions. Over the externship I was able to observe new leadership styles in a non-clinical based setting that does not currently have an occupational therapy on staff. We were able to use our occupational lens in a new setting. This opportunity was formative in my decision to complete my residency at The Huntington because I was able to solidify my passion for inclusive programming and the value OT has in community settings. In April I was able to attend my first national occupational therapy conference in Salt Lake City, Utah. I had no idea how much I was going to enjoy the conference and the opportunity to attend presentations given by researchers and leaders in the field that I have been reading about for the last five years. The chance to network with occupational therapists all over the country across so many practice settings was inspiring as I go out into the profession. I know there are endless possibilities in how to create my own practice. 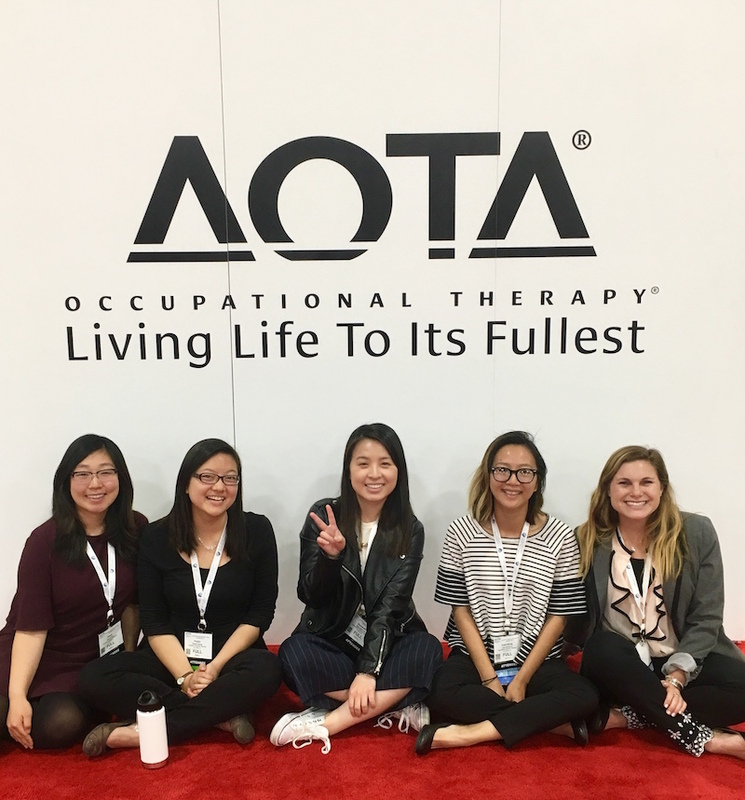 I was impressed and honored to be an occupational therapy student entering the profession with so many passionate and hard-working leaders. I am excited to start my residency and hopefully become one of the leaders someday! Although I have officially finished my finals, I still have the comprehensive exam left! This is an exam that is a compilation of content from the following seven courses: OT 515 Advanced Neuroscience, OT 518 Quantitative Research for Evidence-Based Practice, OT 525 Qualitative Research for Evidence-Based Practice, OT 534 Health Promotion & Wellness, OT 538 Current Issues in Practice: Adulthood and Aging, OT 540 Leadership Capstone, and OT 545 Advanced Seminar in Occupational Science. Although this is a daunting exam, it is also a very meaningful way to complete the program. As this is an opportunity to look back at the foundational courses that have built my occupational lens. I am confident that upon completion of this exam I will have the tools I need to complete my final fieldwork and pass the National Board for Certification in Occupational Therapy. I have appreciated this last semester of classes because I was able to take courses that I have a particular interest in learning more about. In addition to gaining a unique view into the theory and intervention of sensory integration I was also able to hone different styles of therapeutic communication. Not only were these courses full of interesting content, but also the opportunity to take classes with students from other cohorts and have professors for the first time. I loved that this semester was different from all the others and allowed me to meet new people and learn new concepts. Finally, as this is my last blog post, I wanted to take a moment to thank you all for reading and emailing us such thoughtful questions. I am grateful for the opportunity to meet and speak with so many of you as you learned about OT! Fight On! Ready to receive another diploma from USC!